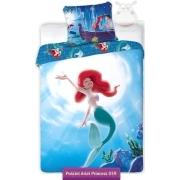 Fitted sheet with Little Mermaid with Disney Princes of Seas and Oceans. 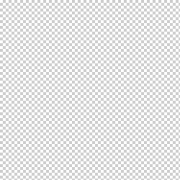 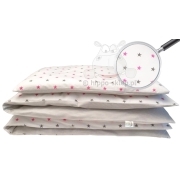 Kids fitted sheet with Ariel in white and light blue colors, dedicated for single bed with mattress size 90x200 cm. 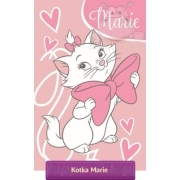 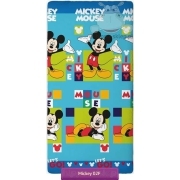 Kids fitted sheet with Ariel made under license of Disney Little Mermaid, made of 100% cotton, with Oeko TeX Standard 100 certificate. 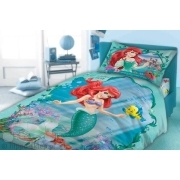 suitable for any kind Disney Ariel bedding set in similar colour.